teleNetwork Review: Is Working at Home for teleNetwork a Scam or Legit? teleNetwork offers full and part-time customer service and technical service positions. And they hire as employees, with benefits! 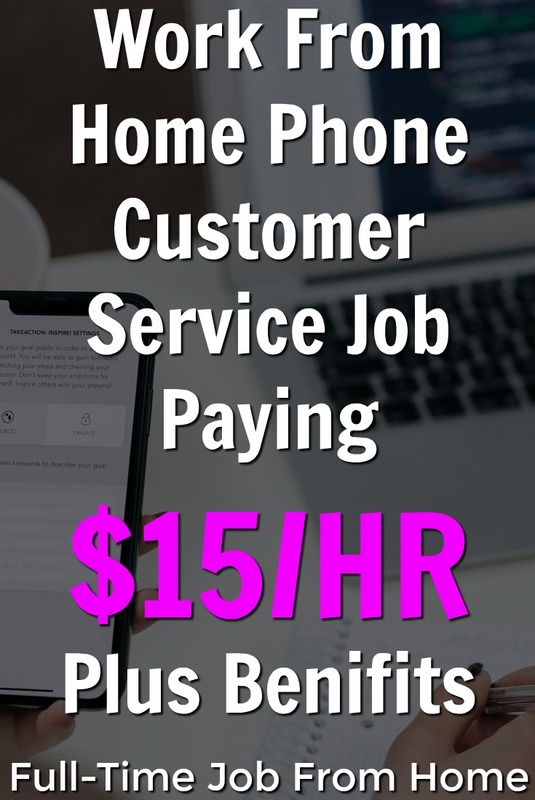 Work from home phone work isn’t for everyone, make sure to check out all of the work from home companies hiring now! In this review, I will uncover the work at home opportunity they offer and determine if it’s a scam or legit! Alabama, Arizona, Arkansas, Colorado, Florida, Hawaii, Idaho, Illinois, Kansas, Michigan, Mississippi, Missouri, Nevada, New Mexico, North Carolina, Ohio, South Carolina, Tennessee, Texas, Utah, Virginia, and Wisconsin. Some exceptions are made and teleNetwork will train the right people. Feel free to apply if you feel that you would be a good fit for one of their jobs. You’ll need to take a typing test, www.goodtyping.com/test.php. And also an internet speed test, www.speedtest.net. Click here to view available positions. Then you can select which job you want to apply for. I’m looking at the Customer Account Specialist position. Once inside the job posting, you can click Apply Now. The first thing they have you do is upload your resume and cover letter. Then you will finish filling in your info that didn’t populate from your resume. The next step is a questionnaire. In the questionnaire, they state that you only need to complete 1 application to apply for any or all positions they have available. So here you will select all the positions that you are interested in. Select more than one by holding the shift key while selecting. How Much Does teleNetwork Pay? teleNetwork work at home positions start at $10 per hour. Remember you are hired, not a contractor, so you will fill out a W-4 and taxes will be withheld on your paychecks. Some jobs will pay a bilingual bonus. And some jobs have opportunities for commission. You could earn up to $15 per hour including commission. Paid Training is conducted online, Monday through Friday for 2-3 weeks. The length of your training depends on the job you are doing. They have morning training or evening training. Based on your preferred time to work, you can train on a similar schedule. Some weekend availability is required. After the initial training period, there is also continuing education on the job. Your schedule will be flexible, but you will have assigned shifts that you are expected to work. I found many job reviews on Glassdoor. Overall, 50% would recommend to a friend. Here are some pros and cons. Is Working for teleNetwork a Scam or Legit? Based on my research, teleNetwork is NOT a scam! I think it sounds like a good work from home opportunity, especially if you are interested in being hired rather than being a contractor. If you want to fill out an application, start here, and View Available Positions.